Let’s talk facts vs myths. 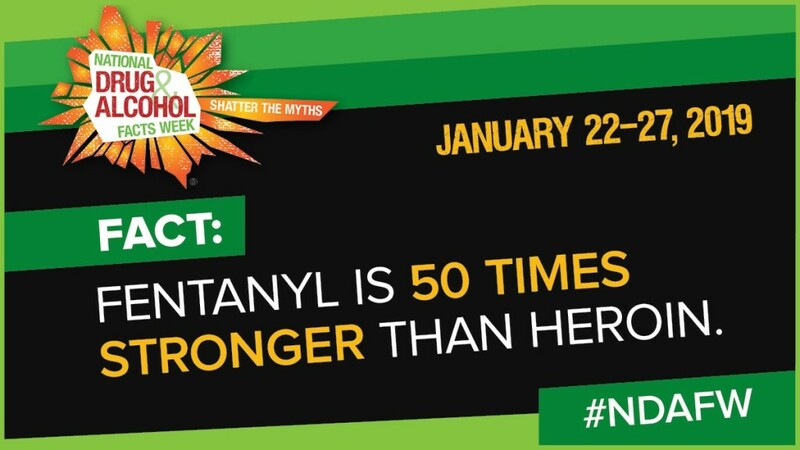 Drug and Alcohol Facts Week happens during the week of, January 22-27, 2019. National Institute on Drug Abuse (NIDA) was established in 1974 as a Federal focal point for research, treatment, prevention, training, services, and data collection on the nature and extent of drug abuse. It aims to connect students and scientists to counteract the myths surrounding drugs and alcohol sourced from the TV, social media and friends. This opportunity allows the students to learn from the scientist on the effects of drugs on their brain and methods of disseminating understandable science-based facts on substance use. When you learn and become aware of the dangers and consequences of such drug use, you make better choices. People use drugs to “numb” the pain. You hear most people say this over and over. This is because when such drugs such as opioids attach to the brain receptors, they block pain messages from the body to the spinal cord and then to the brain. It causes one to be in a relaxed mode, more like a great mood. In addition, it takes away pain or the feeling of nausea and sometimes, causes confusion. Fentanyl is a powerful synthetic opioid (sadly easily and inexpensively made in a lab), FDA approved for severe pain relief and anesthetic. It’s important to maintain pain but when this drug is abused, it can be fatal. It is known to be more potent than heroine as it can depress breathing and lead to death very fast. Marijuana, also known as Ganja or boom is dried leaves but potent. Abuse of this drug can lead to learning and memory issues especially to the young adults. Inhalants are known to depress the central nervous system leading to slurred speech, lack of coordination. Take some time and share this on social media so you can save a life! Every life is worth saving!